"People see the way he fights for every ball. That encourages his team-mates to do the same. He is a good example for everyone." - Former Nantes manager Claudio Ranieri on Emiliano Sala. 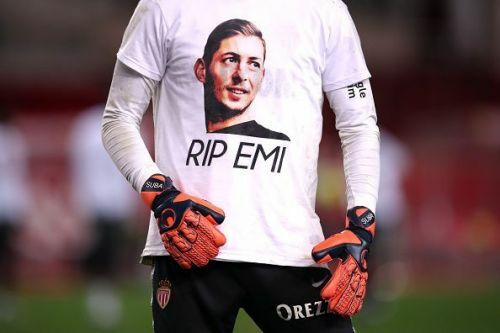 There have been millions of words written and said about Emiliano Sala since the plane carrying him across the English channel to take him to Cardiff, crashed, costing him and the pilot flying the plane, their lives. The tragic circumstances of his untimely passing and the investigation that continues to surround it have meant that Sala, the man and everything he achieved, might be in danger of being forgotten. At 28 years of age and having just secured the move of his dreams, he was in the prime of his career and on the verge of accomplishing everything he had worked so hard for until it was so cruelly snatched away from him. But that shouldn't detract from everything he accomplished. Emiliano Sala was a young man who wanted nothing more than to be a professional footballer and through hard work, dedication and a belief in himself, he made it happen. His story was cut short but it is still one worth telling. Sala should be an inspiration to every young footballer who has been told they aren't good enough or that they won't make it. His success didn't come easy and he was prepared to travel halfway across the world, away from his friends and family to make his dream come true. Sala was born on 31 October 1990 to parents Horacio Sala, a truck driver, and Mercedes Taffarel, in Santa Fe Province, in Argentina. He began his football journey playing for his local club side San Martin de Progreso and it wasn't long before his talent started attracting the attention of those from further afield. This led him to Proyecto Crecer, who had direct links with French side Bordeaux, and it was this move that set him on the path to France and European football. After short spells in Spain and Portugal he moved to France for the first time, signing for Bordeaux. Despite making his debut in the Coupe de France in February 2012 he found opportunities limited and, growing frustrated by his lack of game time, sought out loan moves with his first stop being Orleans in the 2012-13 season who played in the French third tier. Regular matches and the complete faith of his manager Oliver Frapolli, saw Sala thrive, scoring 19 goals for the club in 37 appearances that season. “I saw Emi for the first time when he was playing for the second team of Bordeaux. I loved his game because he was a striker who was combative and generous on the pitch. His next stop was the second division and a loan to Niort where he continued his prolific scoring form, bagging 20 goals in 40 games. That season saw him score his first career hat-trick and set a new club record for goals in a single season. This form saw him rewarded by Bordeaux with a two-year contract extension and a return to their first team in 2014-15. However, Sala failed to impress, scoring a solitary goal in 11 appearances during the first half of that season and he was loaned out to fellow Ligue 1 side Caen. At Caen, he scored five goals in 13 appearances to prove to himself and others that he was capable of scoring goals at the top level of French football. But it was time for Sala to leave Bordeaux and in the summer of 2015, he signed for Nantes. It was at Nantes that he would make his name. During his first three seasons at the club, he scored consistently without ever being prolific, notching 35 goals in 112 appearances. However in 2018-19, despite starting the season out of favour, he would score 12 goals in just 21 games, including a hat-trick against Toulouse. His form saw him win the league's player of the month award in October. However, like so many foreign players, his dream was to play in England and his rich run of goals attracted the attention of Neil Warnock. "Every time we talked about our dreams, we always talked about the Argentine selection (for the national team), the Premier League and the Spanish league." After protracted negotiations, it was Cardiff who got the deal done. Warnock and his assistant manager, Kevin Blackwell, had initially gone to watch two Marseille players, but came away more impressed by Sala, who scored for Nantes in a 3-2 victory. 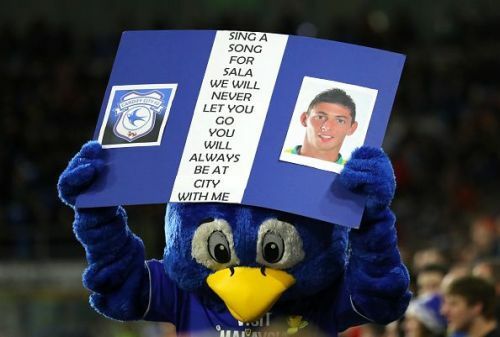 He was confirmed as a Cardiff City player on 19 January with Sala telling the world on his social media feeds that there was 'a new Sala in town'. Not registered in time to make his debut against Newcastle United, Sala returned to Nantes to gather some belongings and say goodbye to his teammates for the final time. Due to attend his first training session, he boarded a small private plane on 21 January to take him to Cardiff and a new adventure in England. As the world now knows, Sala would never complete that journey. His body was found at the bottom of the ocean on 7 February, along with the wreckage of the plane. The pilot, Dave Ibbotson, remains unaccounted for. 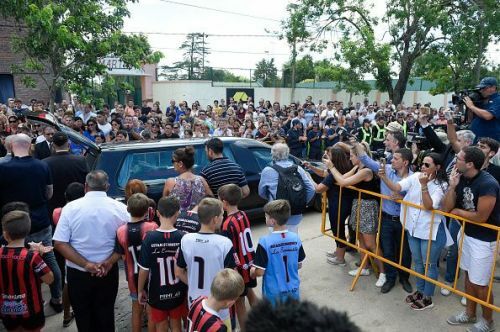 Sala's body was returned home to Argentina for his funeral with thousands of locals turning out to pay tribute to their returning son. The locals had hoped that one day he would return to finish his career but tragically that was never to be the case and their fallen hero returned in the most saddening of circumstances. He will be remembered as much for his character as he will for his goals. Emiliano Sala was a player who touched lives on and off the football pitch. His dream was cut short in the most brutal of circumstances but his legacy should be a reminder to every young player who dreams of being a footballer that they can achieve their goals.